When Enos Mills moved to Colorado in 1884, it was to find a cure for his persistent physical ailments. As his health dramatically improved, he also stumbled upon a cure for ailments of the soul, writing, "The forests are the flags of nature. They appeal to all and awaken inspiring universal feelings. Enter the forest and the boundaries of nations are forgotten." Inspired by the legacy of his friend John Muir, Enos worked tirelessly to protect his "Rocky Mountain Wonderland" until Congress passed the bill to make this this the 13th national park on January 18, 1915. President Woodrow Wilson signed it into effect eight days later. Today, one hundred years later, over 80 million visitors to Rocky Mountain National Park have found peace and celebration under the flags on nature. So in honor of this beautiful place and the man who fought to protect it, here are some ideas for all ages to celebrate in the park. 1. Hike or snowshoe under the light of the moon. Enjoy wide open spaces and dramatic views in the stillness of night by snowshoeing at Moraine Park, Hallowell Park, or Sheep Lakes. While these spaces make wonderful stomping grounds when there is lots of snow, those interested in a packed trail and a small summit might try Deer Mountain (6.2 miles round-trip) or Lily Mountain (4.2 miles round-trip). Be sure to dress in layers and bring a headlamp, map, compass, water and other winter hiking essentials. The next full moon is February 3, but getting out on any clear night will surely inspire and excite. 2. Test your limits at Hidden Valley. This former ski resort location offers roped off sledding hills for the family and ample backcountry skiing opportunities for the lionhearted among us. Carving fresh powder on the backside of Sundance Mountain guarantees a thrill, whether you are sledding or skiing. Enjoy bathrooms and a warming hut before going out for your next run. 3. Take in a legendary view on the Tonahutu Trail. 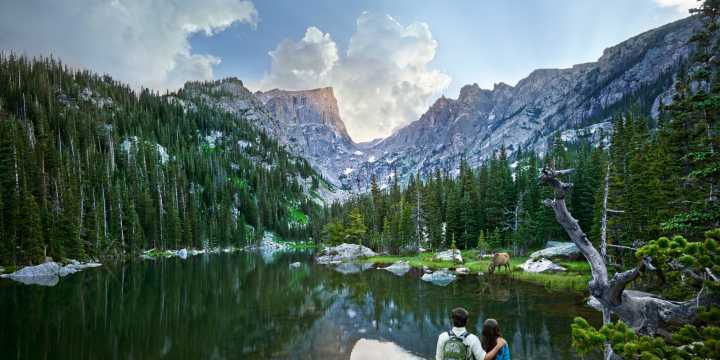 Rocky Mountain National Park shares part of the Continental Divide&apos;s 10,000 miles of mountainous spine from Alaska to Patagonia. After ascending Flattop Mountain from the Bear Lake Trailhead, this trail gently follows the Continental Divide for 12.1 miles to the north and 11.4 miles to the south. With the aid of snowshoes or microspikes, hike out and back, stop in the backcountry for some winter camping, or drive one car to a pick-up location. Regardless of the distance you travel, the Tonahutu trail extends an invitation to participate in epic scenery. 5. 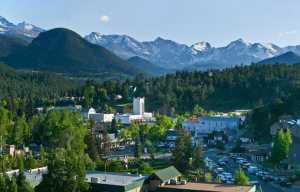 Participate in local natural history by visiting Estes Park Museum&apos;s Climb On! exhibition. 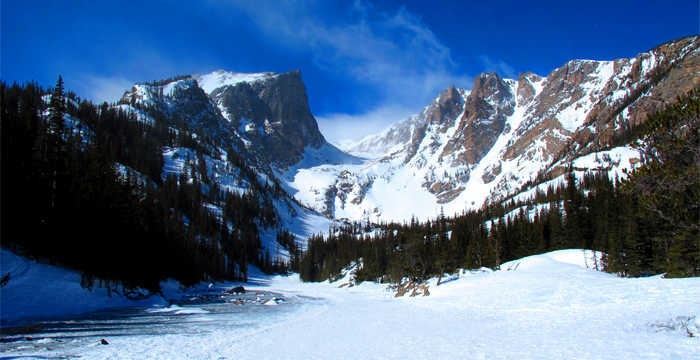 Over the past 100 years, the vertical side of Rocky Mountain National Park has offered much to amateur and elite climbers alike. It has served as a training ground as pioneering individuals have ascended rocky terrain and pushed the limits of gravity. Pioneers of the Peaks: Local Climbers Who Made History is a monthly event in conjunction with the Climb On! exhibition featuring local climbers. Come hear their stories! The next discussion will be on February 23, 2015 at 7pm at the Estes Park Museum (200 Fourth Street). While the above ideas are my favorites, check online calendar listings and nps.gov for more information and events. 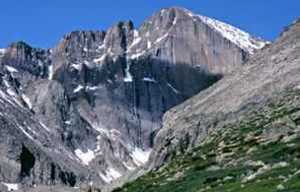 Additionally, Rocky Mountain Conservancy offers unique field institute classes that support and enhance the preservation of Rocky Mountain National Park.